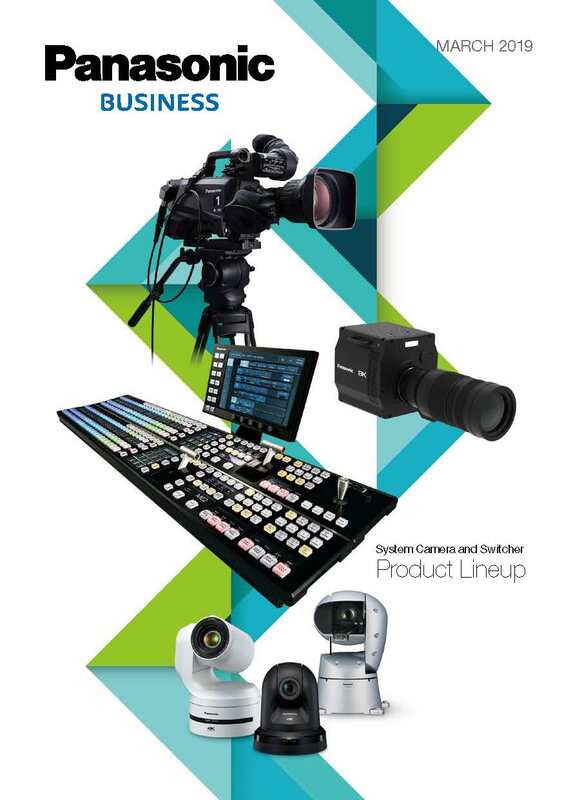 The AW-RP150 will be the newest remote camera controller to compliment Panasonic's comprehensive professional PTZ camera lineup. 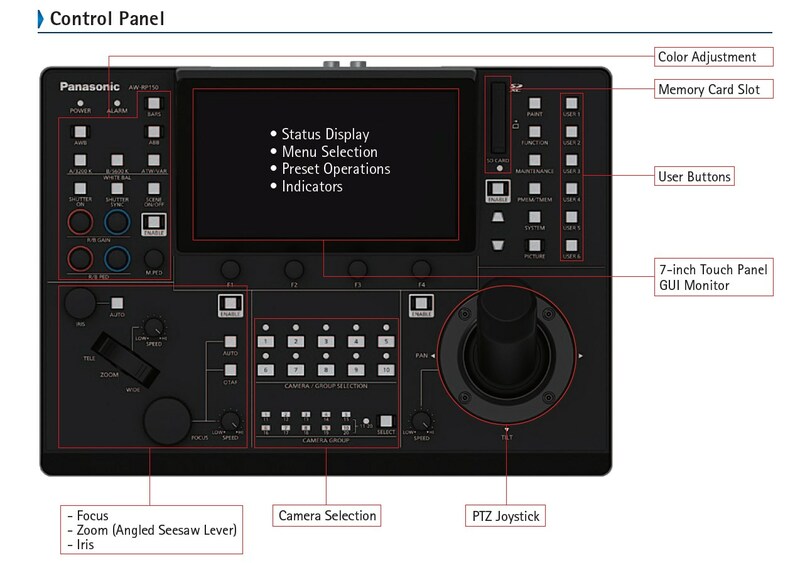 It has the same great functionality of the AW-RP120 and AW-RP50, and joins the lineup with significant improvements over those models, including a new one-hand operation joystick (controlling PTZ or Focus) and a large touch-panel LCD screen for monitoring and menu setting. A seesaw lever mounted on the joystick manages pan and tilt operations for zoom and focus control and intuitive single-handed operation. The built-in touch display allows for easy and quick operation of all essential camera functions.